As a local resident, I have created this site with two aims in mind. The first, which is modest, is to make available for anyone interested in the station’s history a comprehensive collection of links to the material about Brompton Road station available on the net. The second is more ambitious: to advocate the re-opening of our station. 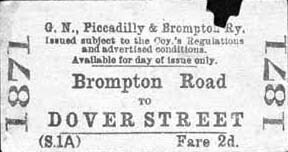 Even if the reasons for the closure of Brompton Road station were valid in 1934 (which I question), times have changed, technology has moved on, and so have traffic patterns. 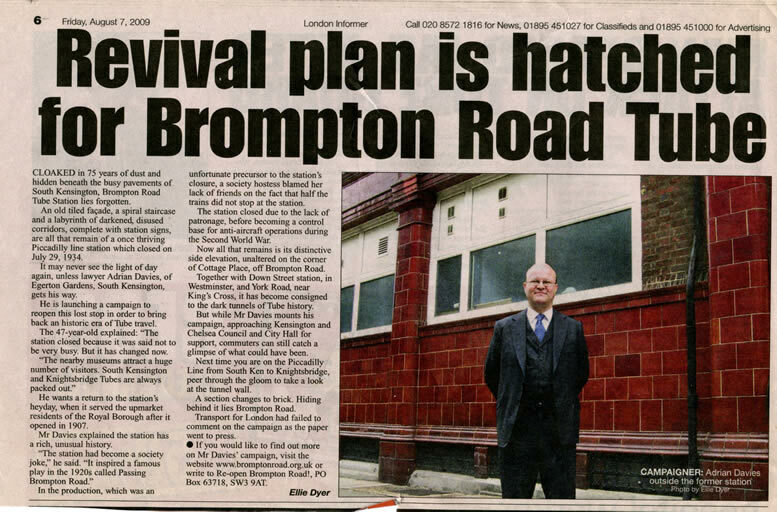 There are good reasons why, three-quarters of a century after its closure, Brompton Road should re-open. Adrian Davies is the webmaster of the site www.bromptonroad.org.uk, which campaigns for the re-opening of Brompton Road station.